Oooh, I like this, Kao! i feel like eating tempura after looking at this photo! 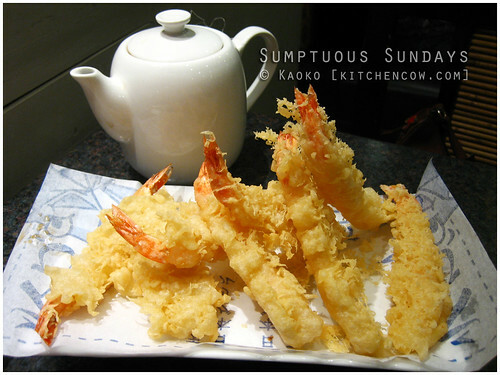 have you tried jozu kin’s tiger prawn tempura -delicious! At the Japanese restaurant I work at we serve tempura like this for lunch. The owner makes his own recipe for the batter. My favorite is the sweet potato tempura! It looks so delicious! ^^ I love tempura!